Most state-owned commercial medicine enterprises were established in the 1950s and they are still the main channel of market circulation. Until the early 1980s, all medicinal goods were completely under the control of the central government. The China Medicine Company was responsible for setting up these commercial organisations all over the country and for allocating and supplying them with medicinal goods. This model helped protect people's health, improve scientific research and production, carry out first-aid and fight natural calamities. During the past two decades, there have been remarkable changes in the distribution of medicinal commodities, especially a trend for greater localisation. By the end of 1997, there were about 80,000 medicine dealers and 520,000 people involved in medicine distribution. The annual total sales value surpassed Yn100bn. The China Medicine Company was transformed into a purely commercial enterprise in 1989. It was renamed as the China Medicine Corporation (CMC), responsible for purchasing medicines, medical instruments, chemical reagents and glass apparatuses, along with import and export, sales and distribution functions. It continued to hold responsibility for supplying medicines for the purposes of preventing disease and epidemic, treating disease, fighting natural calamities, first-aid, meeting the demands of the armed forces, scientific research and production, as well as supplying medicines for local disease treatment, and producing and supplying medicines for mental disorders. CMC has set up 10 branch institutes in China's leading cities. In Anhui province it established two pharmaceutical factories and four agencies were founded in Jinan, Dalian, Tianjin and Shenyang. CMC has also invested in setting up 14 enterprises in Wuhan, Xian, Shijiazhuang, Guangzhou, Haikou, Zhuhai, Beijing, Shenzhen, Suzhou, Shantou and Hangzhou. In order to open up the over-the-counter market, the corporation has opened 36 chain stores all over the country. CMC is the largest group in the sector and it benefits from unparalleled advantages in areas ranging from personnel, access to funds and its distribution network. In April 1994, CMC was granted the right to export and import. It has been admitted to the group of China's largest 96 enterprises, which are under the direct control of the central government. Its aggregate sales are estimated at Yn5bn in 2000. China's administrative divisions consist of central government, provincial government, county government, town and village. Usually a province includes the district level, and each district will govern a few counties. Under the planned economy, provincial, district and municipal organisations were grouped into the second-level unit. They have since been transformed into regional medical instruments, chemical reagents, glass apparatus, and traditional Chinese medicine substances and preparations. China's population at the end of 1998 was estimated to be 1.24 billion. According to the statistics issued by the State Economic and Trade Commission, the income from sale of medicinal commodities in 1998 was Yn67bn, with an average individual consumption of Yn53.70. There are more than 200m women of childbearing age who are a massive potential market for family-planning commodities and gynaecological medicines. Newborn babies in 1998 numbered 19.91m, which meant an additional Yn1bn-worth of medical commodities going into the market over the following year. There are more than 200m children, most of them the only child of a family, and their demand for medicines is rising steadily. The number of over-65s reached 83.75mat the end of 1998 and their medical expenses are usually four times as much as the average for all age groups. With the number of the aged increasing, the market for providing medicinal commodities to this sector will become significantly larger. In sum, the natural growth of China's population, the emergence of an ageing society, the flow of rural people to urban areas and the steady investment in health, all point to a continued expansion of the medicine market. It is estimated that sales in medicine business will reach Yn150bn in 2000. There are four main factors here: medicines for medical treatment are failing to meet demand; with a growing population and ageing society, the need for medicines will increase; people's living standards are improving and the ability to maintain good health is strengthening, which leads to larger healthcare needs; with the upgrading of medical technologies, many diseases can be detected at earlier stages, allowing earlier and more treatment. The income from retail sales in 1998 was Yn12.8bn, making up 13.4 percent of total sales and increasing 49 percent over the previous year. Medicine business at the retail level has many merits, such as fast circulation, high efficiency, no outstanding accounts and flexible management. These advantages help to sustain its growth. With the implementation of a new medical and health system, getting medicines prescribed in drugstores will become more popular. China's medical resources focus mainly on the urban market, around 80 percent in the larger cities. In rural areas, where 70 percent of the total population lives, there is low medicinal consumption. In the early 1990s, the average medicinal consumption of rural people was only one ninth that of urban residents. The reasons for this discrepancy are: an improper distribution of medical resources; differences in economic development; and imperfections in the medical and healthcare system that have not yet been extended to rural areas. This gap between rural and urban areas signals the massive potential of the rural medicine market. Statistics for 1998 show sales of medicinal commodities in rural areas decreased by 1.7 percent against the previous year. Living standards in many rural areas remain low, a barrier to the increased consumption of medicines. In short, the massive rural market remains undeveloped. Eastern coastal regions consume more medicines than other parts of China. In 1998, the sales income of medicinal commodities in Guangdong, Zhejiang, Jiangsu, Shanghai and Shandong amounted to Yn30.3bn, or 45.6 percent of the national total. The sales share of imported medicines is shrinking, while those made domestically (by Chinese and joint venture companies) continues to rise. 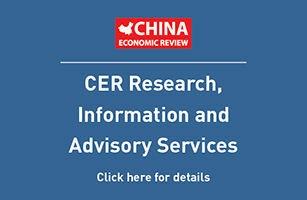 A survey in the first half of 1998 by the China Medicine Business Association, covering 158 types of medicines produced by 70 enterprises, showed the following share of medicine sales: 57.2 percent for state-owned enterprises, 29.3 percent for joint venture companies and 13.5 percent for imports. The top 10-selling medicines in this period were penicillin injection, morphine tablets, cafamedin injection, KangTaike capsules, cefuroxime sodium for injection, Fenbid capsules, Human Serum Albumin injection, Dameikang tablets, Adipose injection and amoxycillin capsules. Since the start of China's reform process in 1978, 1,700 medicine joint ventures have been established in China. The rapid development of these enterprises speeds up the process of domestic production of previously imported medicines, which makes the products more competitive and benefits the local medicine market. -continuing improvement of the medical insurance system. Medicine demand will rise steadily. The Chinese, government stipulates that all employees, in urban and rural areas, participate in the medical insurance system. This stipulation enlarges the scope of the medical insurance, which is a decisive factor in the growth of the whole medicine market. China is becoming an ageing society. There are 120m people over 60, among whom more than 9m are over 80. They are large potential customers of medicinal commodities. Malignant tumours and cardiovascular and respiratory diseases all endanger their lives, and more effective medicines need to be developed. Attention should also be paid to the rural infectious diseases, diseases of the digestive system and some local diseases. The growth rates achieved during the ninth five-year plan (1996?000) will be maintained at more than 10 percent and in future will be boosted by the implementation of the new medical insurance system. The selection of `state essential drugs', which from the basis of drugs on the reimbursement lists, will be made according to principles such as reasonable price, high quality, and effective and safe treatments. Medicines made in China are expected to gain a larger market share in the near future owing to improved reliability, quality and competitive price. -The unitary management of Western medicines and traditional Chinese medicines will be more centralised. The number of nation-wide wholesale enterprises will be reduced and the scale of enterprises enlarged. Some large enterprises or groups will play a significant role in medicine trade owing to their financial strength, information networks, market development experience and ability to take risks. -Retail enterprises will grow and the chain-store management model will become increasingly popular. With the perfection of the basic medical treatment protection system and the implementation of new medicine management policies, retail enterprises are facing a historical opportunity for rapid development. Smaller enterprises will merge to form larger organisations. -Using the experience of other countries, China should split the management of medical treatment and medicines. If drug stores are separated from hospitals, then problems facing the rational consumption of medicines will be solved, by and large. -The separate management of prescribed and non-prescribed medicines will be implemented. -Modern distribution channels will be established to form a ladder structure, comprising agents, distributors, wholesale dealers and retail dealers. Written by Qi Bao, head of the pharmaceuticals group at China Concept Consulting and editor of www ChinaPharmaNews. corn. The article is based on information from the China Pharmaceuticals Guide, published by Informa Pharmaceuticals in association with China Concept and the State Drug Administration. For further information, contact gbao@chinaconcept.com.